Well I received my beading goodies from Heather. I must say I love everything she sent. 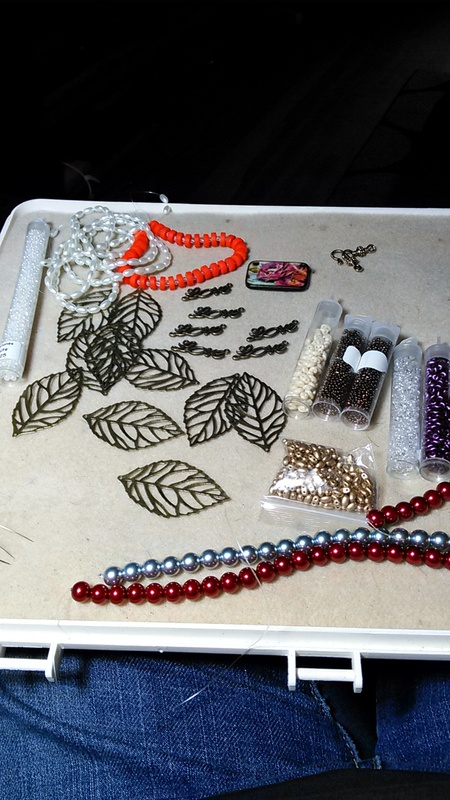 All the beautiful beads. I have a few ideas brewing I love the orange beads and the tile from Jlynn. I have already started creating so many ideas. I recieved the brass leaf stamping/filigrees, too in my swap package from Heather. I’ll be interested in seeing what you make with them.